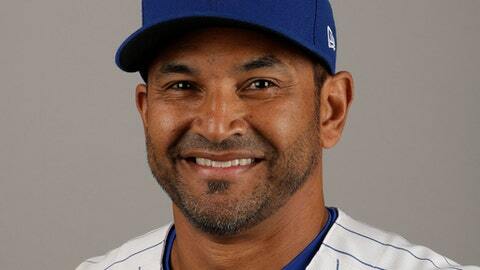 WASHINGTON (AP) Dave Martinez’s first managing job will come with a Washington Nationals team that expects him to produce nothing less than a World Series championship. The Nationals announced on Monday that Martinez agreed to a three-year contract with an option for a fourth year. Martinez has been the bench coach for Joe Maddon with the Chicago Cubs the past three seasons and with the Tampa Bay Rays for seven years before that. The 53-year-old Martinez replaces Dusty Baker, who was let go by the Nationals at the end of his two-year contract despite winning NL East titles and at least 95 games in each of his seasons. Baker’s clubs were both eliminated with a one-run loss at home in Game 5 of an NL Division Series, against the Cubs this month and against the Los Angeles Dodgers in 2016. Martinez becomes Washington’s sixth manager in 10 seasons. With players such as Bryce Harper, Max Scherzer and Stephen Strasburg leading the way, the club reached the playoffs four times in that stretch, but it has never won a playoff series. Martinez played for nine major league franchises over 16 years, including four seasons with the Montreal Expos, the team that moved to Washington in 2005 and became the Nationals. Martinez, mostly an outfielder, retired as a player in 2001. The Nationals scheduled a news conference for Thursday to introduce Martinez.